It can make you happier, improve your chances for career success, and help you catch the eye of that special someone. So why don’t people smile more? Antibiotics – The use of antibiotics during childhood, or exposure to high levels of fluoride or tetracycline can cause dull or discolored teeth. Certain foods – Oranges, carrots and other foods can yellow teeth, as can coffee, tea, and foods and drinks with tannins (like red wines). Tobacco – Both smoking and chewing can lead to an unsightly smile. Genetics – Once again, you can’t fight heredity. But though you can’t choose ancestors with bright smiles, you can elect to do something about your own teeth. Professional whitening is safe and relatively painless for most patients. It can brighten teeth dramatically – making them up to ten shades lighter. 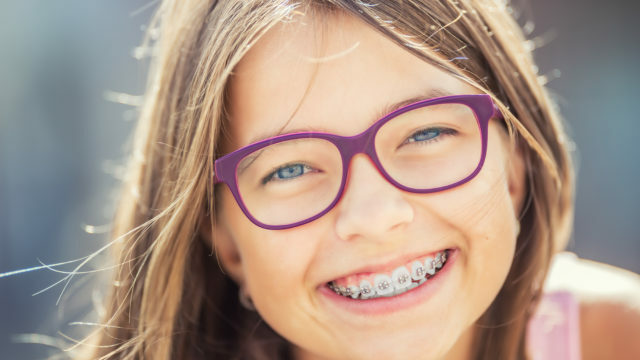 Over-the-counter remedies aren’t as effective, and can cause discomfort to people with sensitive teeth or gums, or even cause mouth irritation, especially when mouth trays don’t fit properly. You won’t have that issue when you whiten your teeth at Jefferson Dental. Our Free Whitening for Life plan includes customized take-home whitening trays and gel. And though the trays and gel are a $325 value, they’re free when you come in for an initial exam, cleaning, and x-rays. Not only that, but you can keep that brighter smile for good. We’ll give you two free tubes of whitening gel, twice a year, as long as you keep up with your recommended dental visits. Come see us today, and have a brighter smile – for life!